The $175 million Susan River Solar Farm on Queensland’s Fraser Coast officially opened this week, adding a further 95MW of solar power to the state’s energy supply. Queensland’s assistant minister for treasury Glenn Butcher represented the state government at an on-site ceremony near Maryborough today, after the North Queensland floods saw the premier and all ministers called to Brisbane for cabinet meetings. 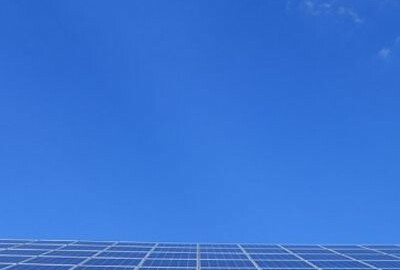 The project uses 290,000 panels to generate electricity, connected to the state’s power grid via a new Ergon Energy substation on the solar farm site. Susan River has the capacity to power about 40,000 homes when it reaches full generation. It will take total operational capacity of renewable energy in Queensland to more than 2000 megawatts. State energy minister Dr Anthony Lynham said Susan River was the twentieth renewable generation project to come online in Queensland over the past two years, with another 13 large-scale projects under construction. “These 13 large-scale projects will generate more than 1200 megawatts, boost investment by around $2.5 billion and most importantly create more than 1900 jobs during construction,” he said. The project pipeline includes Elliot Green Power’s other Queensland renewable project, the 75 megawatt Childers Solar Farm just 50 km away. It also recently completed construction and is the early stages of commissioning.